EYP Finland promotes awareness on European issues for youth in Finland in many ways. 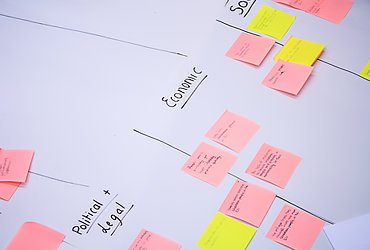 We organise four Regional Sessions and one National Session each year. Schools can send their delegations to any of the Regional Sessions. Registration for Sessions is opened in early autumn. 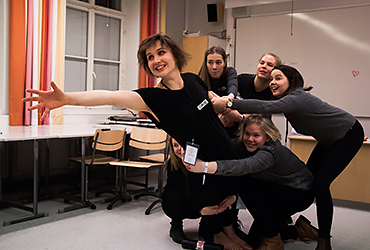 EYP Finland also offers opportunities for students to take part in Sessions, trainings and other events abroad. 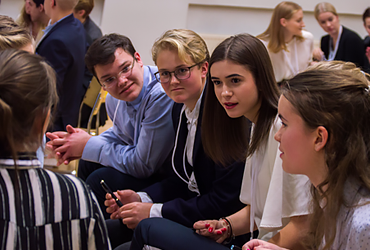 EYP Finland organises a school tour in August and September to visit upper secondary and vocational schools to tell about different opportunities in the EYP network. Schools can also invite EYP Finland to visit schools to educate and tell about Europe-related issues. You can leave a request for visit via the contact form. Youth's Europe project aims to encourage young people to discuss and voice their opinion about EU related topics. Youth's Europe is a project of European Parliament Information Office in Finland and it is coordinated by EYP Finland. During the info day organised at school, students get acquainted with the work of the European Parliament. The day consists of a presentation and a parliamentary simulation in which students have the opportunity to experience the work of a MEP and the decision-making process in the EU. Schools can request a visit from an EU School Ambassador free of charge. Do you wish to find out more about the opportunities EYP Finland has to offer in teaching? Would you like to order a school tour presentation at your school? You may contact us with this form, and we will respond to you as soon as possible.